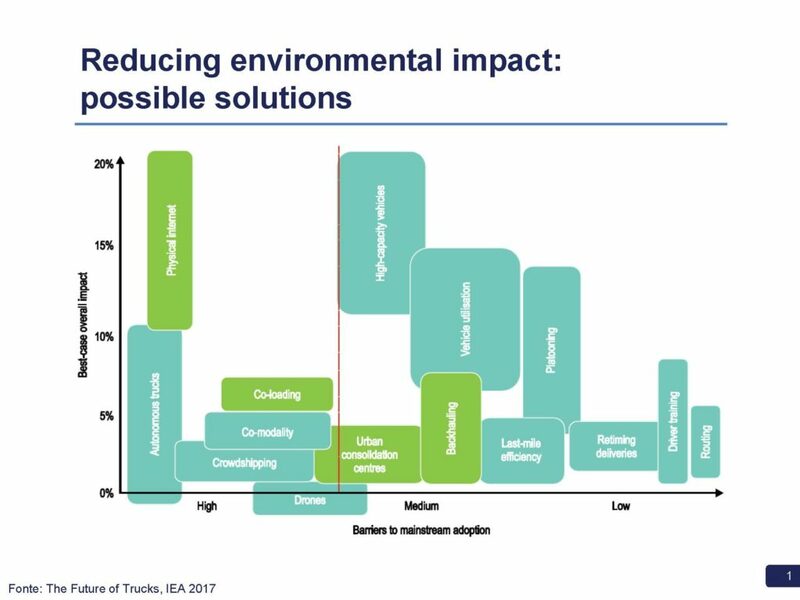 A series of simple measures, from the way we drive to rearranging the routes we travel, allow both fuel consumption and emissions from transportation to be reduced, while using the same number of vehicles. This was the core message delivered at the “Green supply chain management” workshop organised by GS1 Italy as part of ECR Italia. Have you ever heard of the “driver’s foot”? Put simply it refers to the significant impact a driver can have over fuel consumption and therefore the emissions of pollutants and climate-changing greenhouse gases. Logistics operators have long realised this and as a result have introduced many innovative courses, financial incentives and even competitions where the lightest foot wins! By introducing technology to monitor the consumption of individual drives, progressive companies such as Iveco have reaped the rewards. “One of our suppliers already gives drivers a report about their driving. We have calculated that driving without sudden acceleration and braking can lead to savings of over 2,000 Euros per year.” Useful insights like this were presented by Roberto Prada of Gruppo Campari during a workshop dedicated to green logistics and the environmental and economic advantages of a sustainable transport and warehouse management system, organised by ECR Italia, the association that is part of GS1 Italy and deals with supply chain process innovation. While a major breakthrough can only be achieved by changing the fuel system of vehicles and through a modal shift (see also the article “From aircrafts to large ships: CO2 is reduced with the modal shift”), this meeting highlighted that many other small factors allow savings and lower emissions. One of the most crucial factors is the ability to reduce the number of empty return runs for heavy goods vehicles, which is a particularly situation in Italy when travelling from South to North. The aging Italian road infrastructure also influences emissions: the more winding or uphill the route is, the higher CO2 levels become. The same applies to traffic congestion. Of course, other factors also affect the ecological balance of goods transported and the vehicle fleet; If the temperature of the goods is higher than the transport temperature during loading or if the insulation of the vehicle is not optimal, CO2 emissions will only increase. Do not underestimate the impact that a vehicles tyre can have on Co2 emissions. In addition to the need to inflate them at the right temperature, it is advisable to choose new generation ones known as LRR – low rolling resistance tyres, which ensure lower consumption. Tests are also underway to improve the aerodynamics of lorries. Some examples of vehicle modifications include a “hump” on the trailer roof and “flaps” between the engine and the semi-trailer. In terms of results, the action on re-routing is particularly effective, i.e. the study of routes connecting several delivery points that allow the driver to calculate the average saturation and therefore also consumption and emissions. 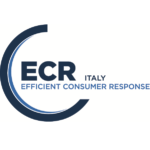 To calculate the impact of these choices on consumption and on emissions, GS1 Italy, as part of ECR Italia, has developed a free web tool dedicated to sector professionals. It is called Ecologistico2: it is a practical and effective tool for developing knowledge, awareness and green sensitivity, developed in cooperation with GreenRouter. For example, a simulation with Ecologistico2 showed that, simply by rearranging the routes, delivery rounds were reduced from 5 to 4, with initial saturation rising from 71% to 80%. Ecologistico2 is basically a means to calculate CO2 emissions, discover the logistic variables that influence greenhouse gas emissions, identify through simulations the most effective actions to reduce emissions, and to consult innovative case studies and the technical data sheets of leading solutions and technologies.